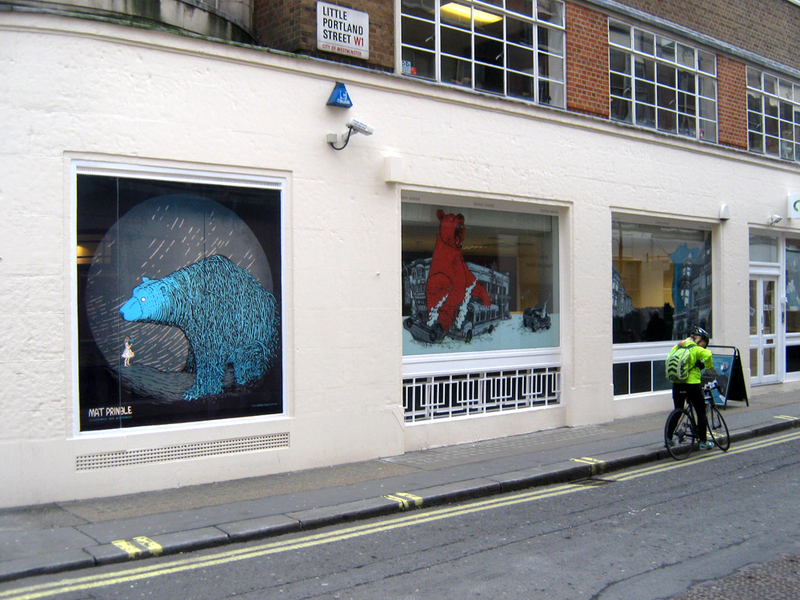 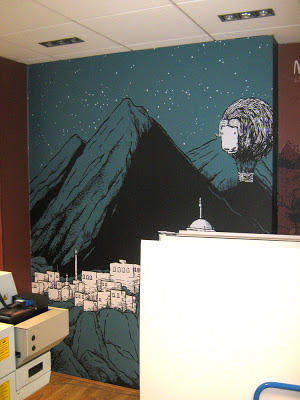 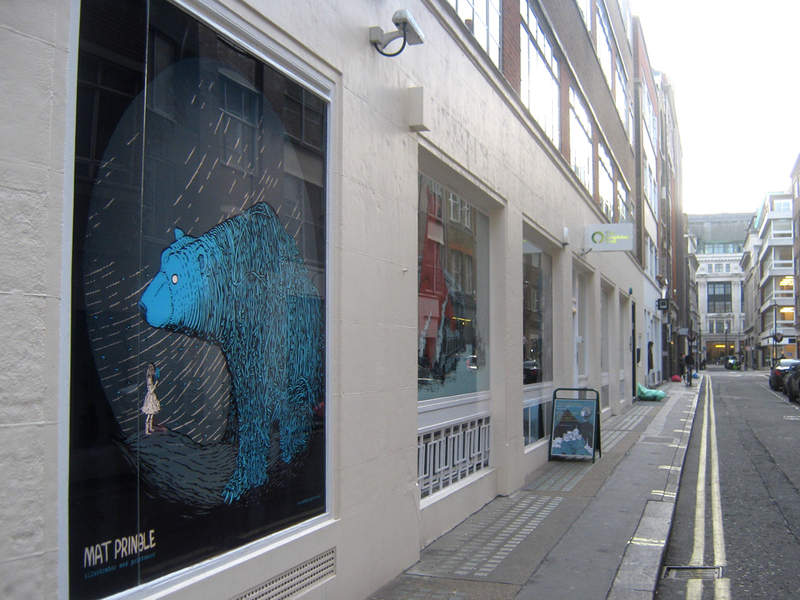 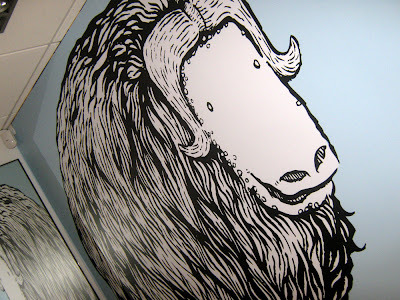 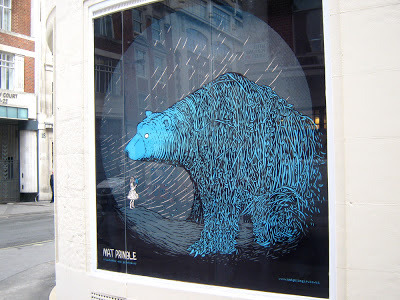 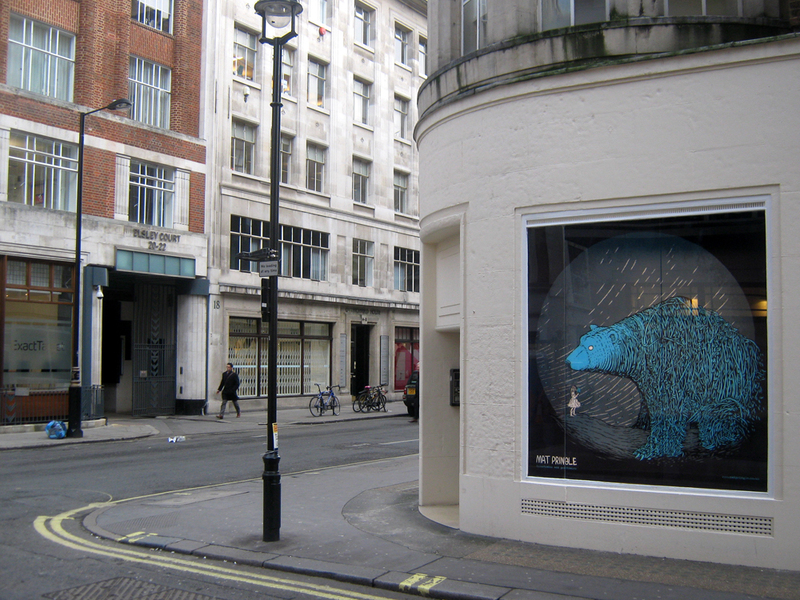 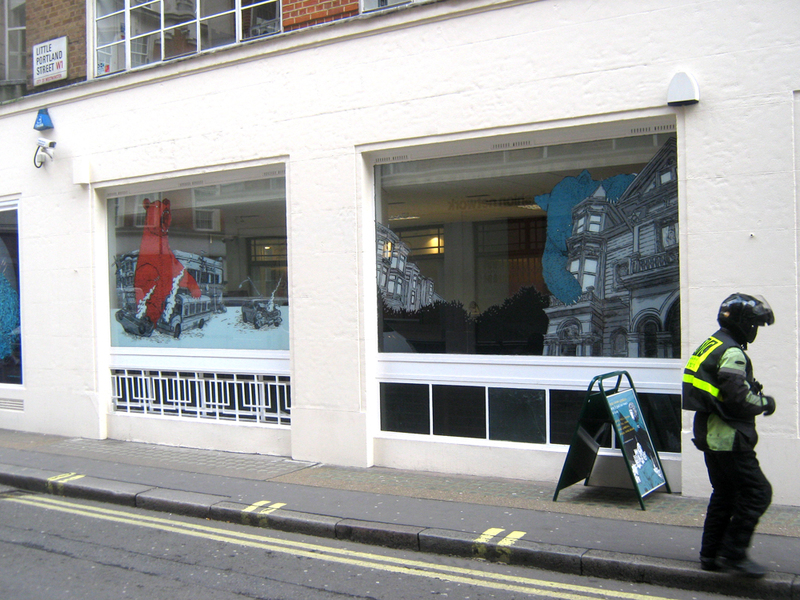 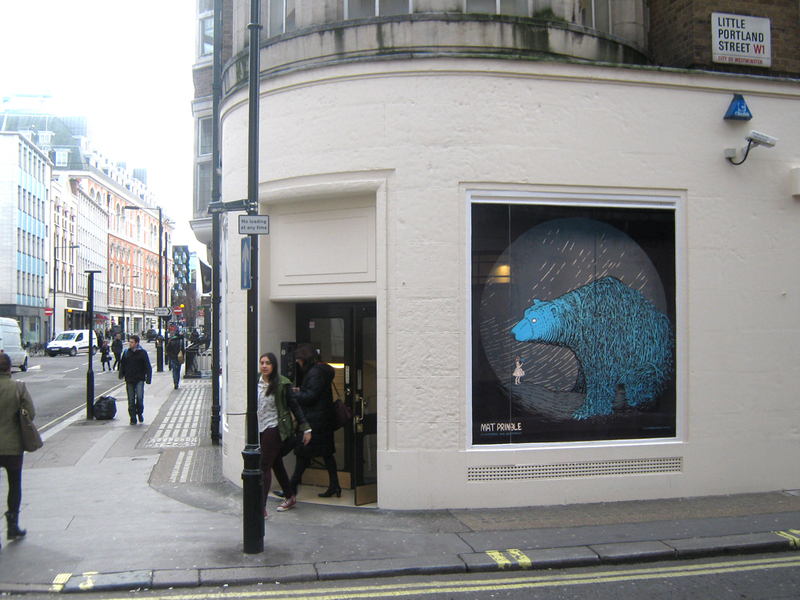 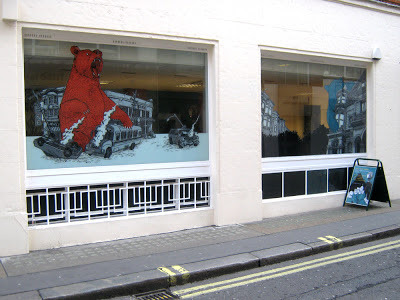 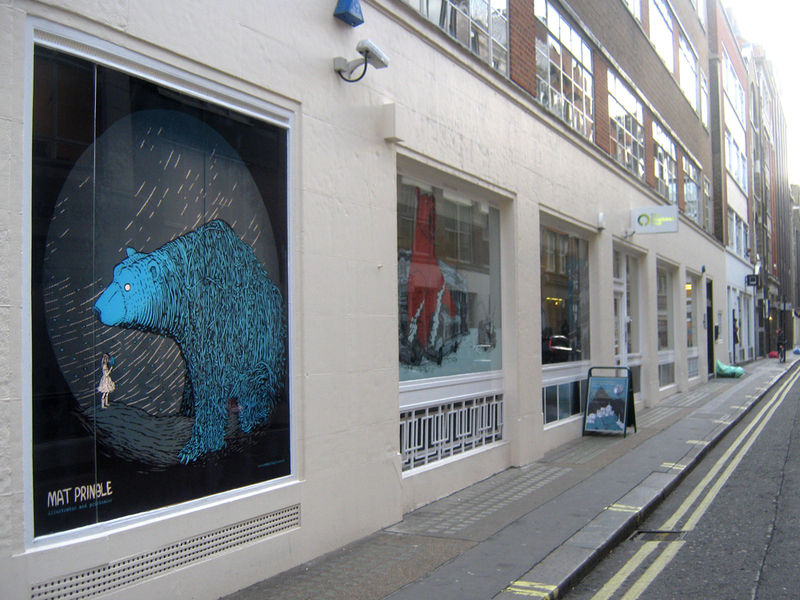 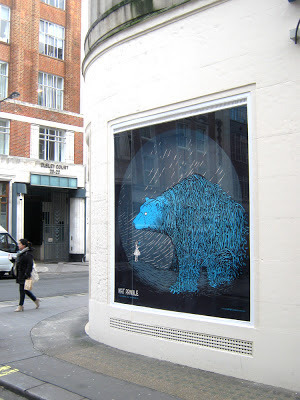 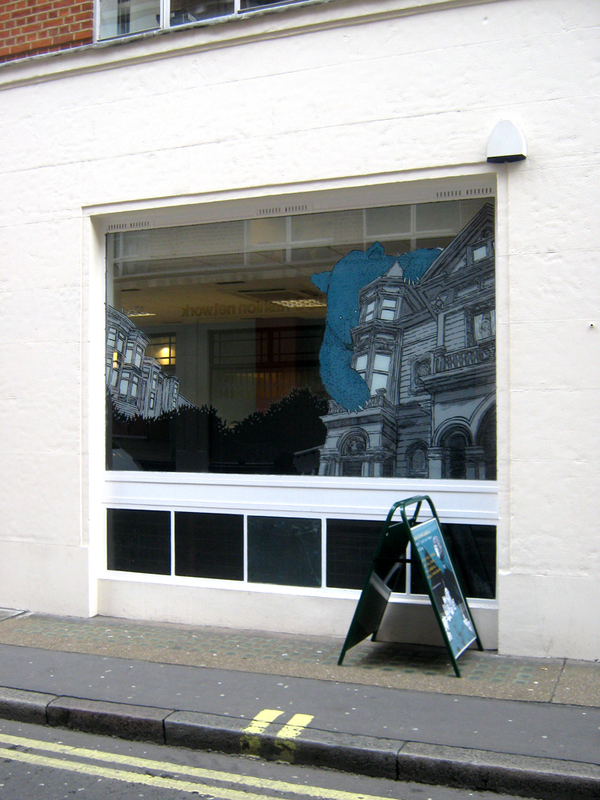 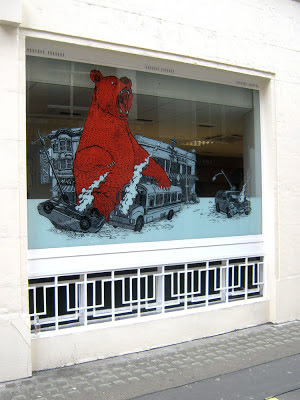 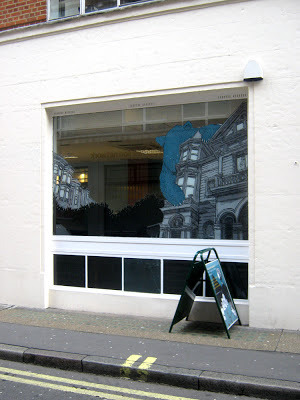 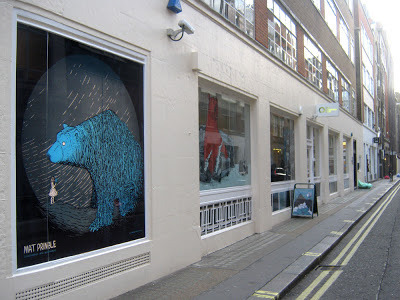 My Giant Spirit Bear and Absurd Balloon illustrations are on display in the windows of The Graphical Tree near Oxford circus until the end of February. 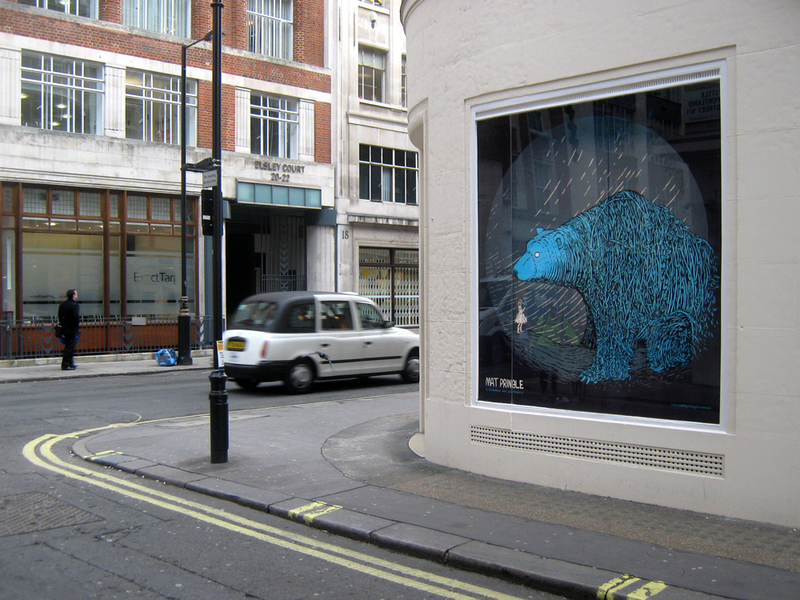 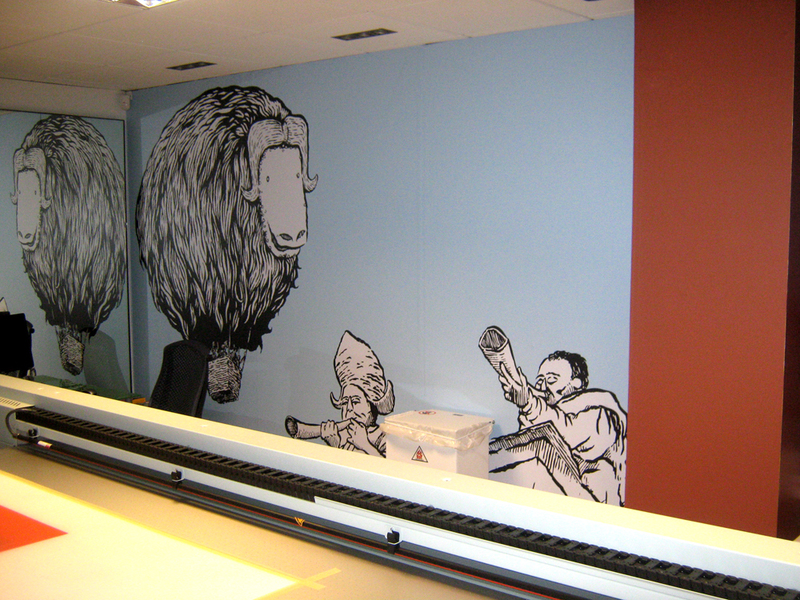 It's a collaboration with London based design company Branch and printers The Graphical Tree. I popped down last week to take some photos with a rubbish camera and my equally rubbish photography skills so please excuse the poor pictures. They really don't do the display justice which looks incredible. I recommend you try and see it before it's replaced. 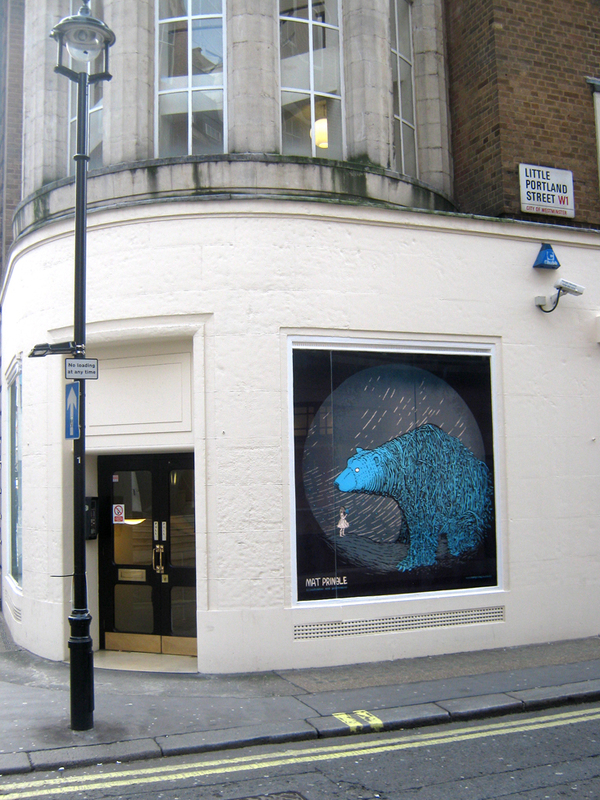 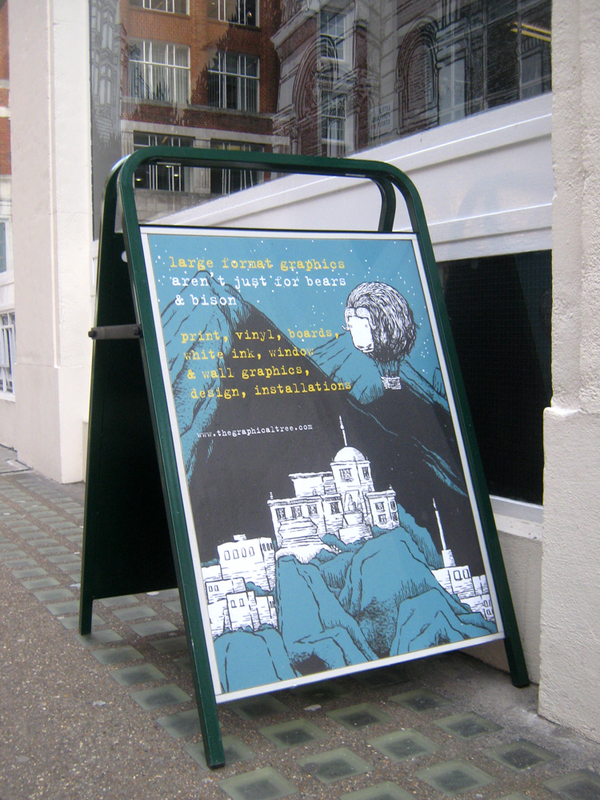 The shop is on the corner of Little Portland Street and Great Titchfield Street. If anybody gets better photos please send them to me!